Vice Admiral Ihor Voronchenko (left) and his entourage on board of a Ada class corvette. Photo: Turkish Naval Forces. 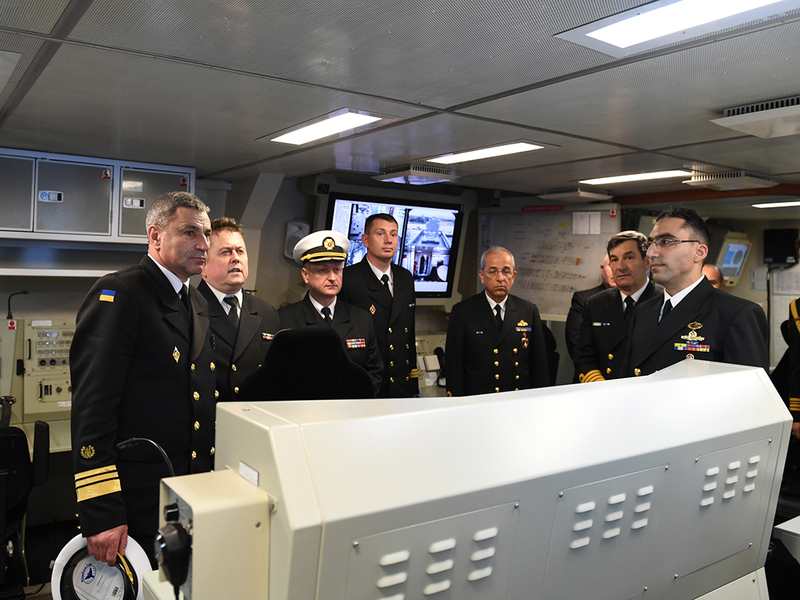 The Commander of Ukrainian Navy, Vice Admiral Ihor Voronchenko visited Turkey this week. As official guest of Turkish Naval Forces, he arrived in Ankara on 19th April. After talks focused on discussions of regional security in the Black Sea, as well as aspects of bilateral cooperation with his Turkish counterpart, Vice Admiral Vorochenko, visited Gölcük Naval Basel and Yıldızlar Training Center. He has returned to Ukraine on 22th April.